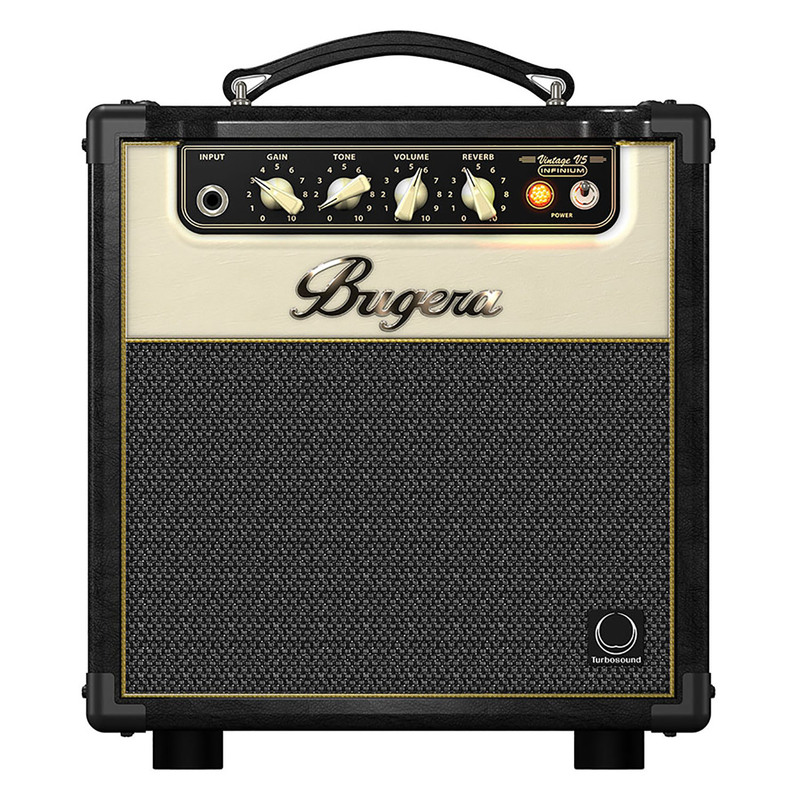 The timeless design and sound of the all tube amp has made its indelible mark on countless beloved tracks spanning the history of the electric guitar. With the ultimate pursuit of those wonderfully saturated and buttery vintage tones in mind, we proudly present the VINTAGE V5 INFINIUM. Sporting a gorgeous vintage look and feel, the V5 serves up 5 beautiful, tube-soaked, Class-A Watts in all your favorite flavors through an amazing, class-leading 8" TURBOSOUND speaker. Additionally, the VINTAGE V5 INFINIUM features an integrated high-definition Reverb; a built-in 2-way Power Attenuator, so you can achieve the ultimate sound at any volume – and an extremely versatile Vintage Equalizer with Tone control for sculpting the sound of your dreams. Enhancing the flexibility of this do-it-all combo, our revolutionary INFINIUM Tube Life Multiplier Technology makes tube replacement incredibly simple – so you can spend more time playing your music. 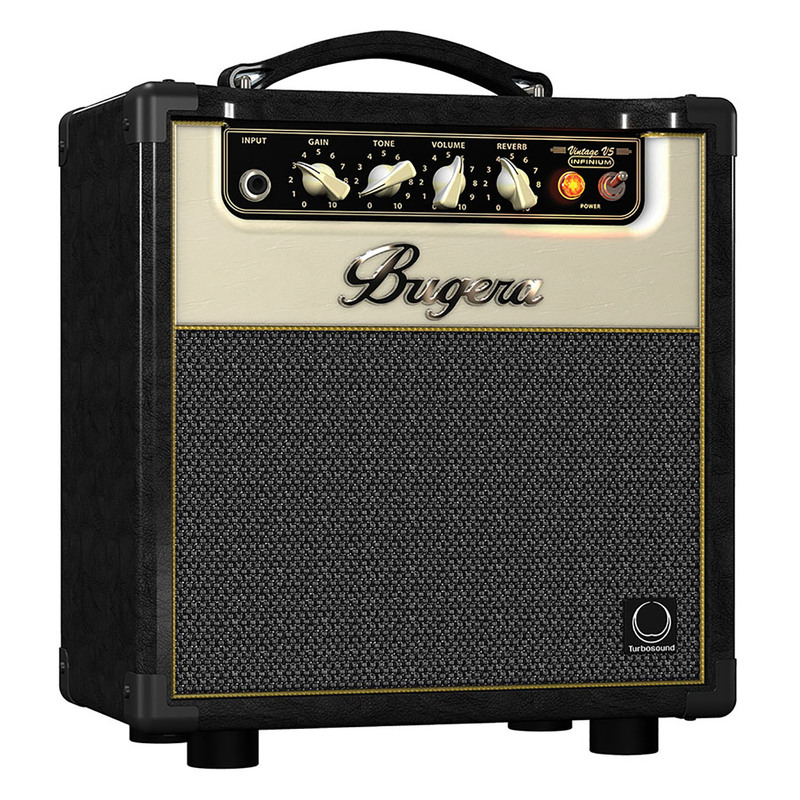 The VINTAGE V5 INFINIUM features true Class-A technology with a 12AX7 front-end and an EL84 power stage. 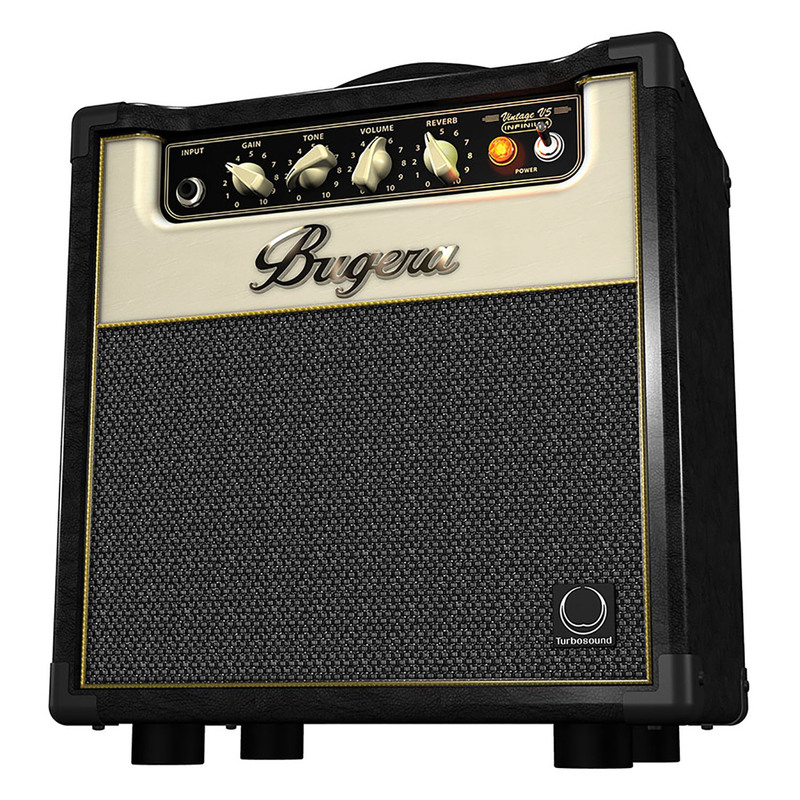 A masterfully crafted all-tube combo amplifier, the V5 provides sweetly-balanced harmonics and natural tube compression, resulting in the warm distortion and break-up you’ve come to appreciate from those vintage megaliths of yesteryear – only in a much more portable and attractive package. The hand-selected 12AX7 preamp tube in V5’s classic ‘60s-era preamp provides everything from sweetly-purring blues to mind - blowing crunch. 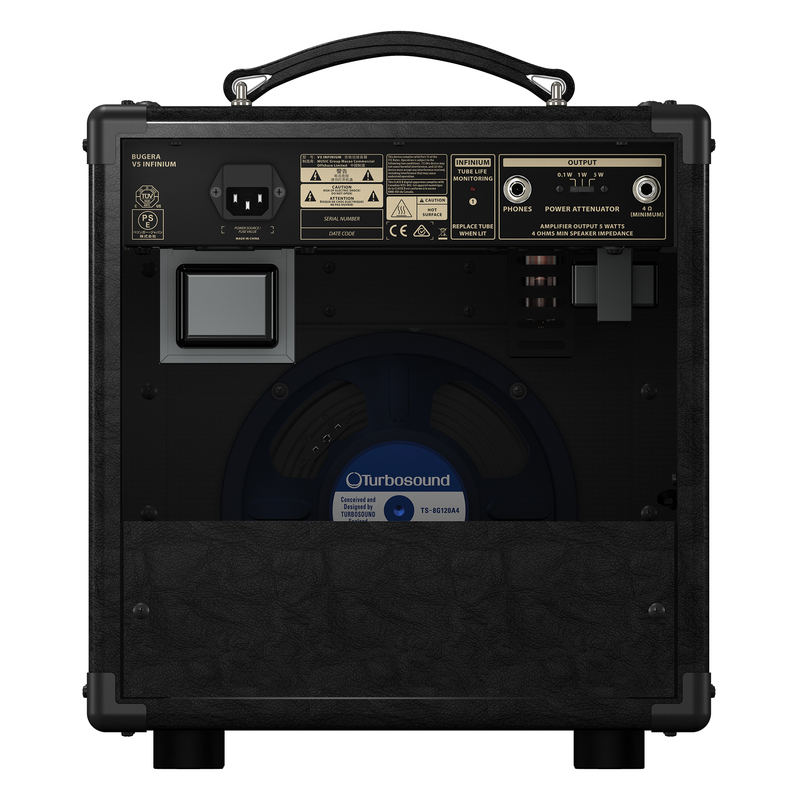 Often employed in British-style amplifiers, the EL84 output tube is known for its crisp and chiming tonal quality when pushed to the max, and the V5 harnesses that power via the built-in power attenuator – for the ultimate guitar tone at any volume level. Adding to its impressive list of tone-shaping options, the VINTAGE V5’s high-definition Reverb puts the perfect finishing touch to your signature sound. Adjustable via the dedicated control on the front panel, you can finally achieve any sound you desire – from a subtle touch to the cavernous, natural-sounding reverberation of a large arena. Years in the making, our INFINIUM Tube Life Multiplier Technology can extend the usable lifespan of your amplifier’s expensive power valves by up to 20 times, saving you huge money and ensuring the integrity of your tone. How? This revolutionary circuit automatically and continuously monitors the performance of each output tube, and dynamically drives it towards the target operating point, for an evenly distributed load. The convenient, built-in Power Attenuator allows you to operate the V5 at your choice of 5 Watts, 1 Watt, or even 0.1 of a Watt, so you can get everything from sweet and sassy to maximum tube saturation at any volume level. This amazing feature alone makes the V5 INFINIUM worth its weight in gold! Long life and impressive durability are ensured, thanks to the high-quality components and exceptionally rugged construction found throughout. 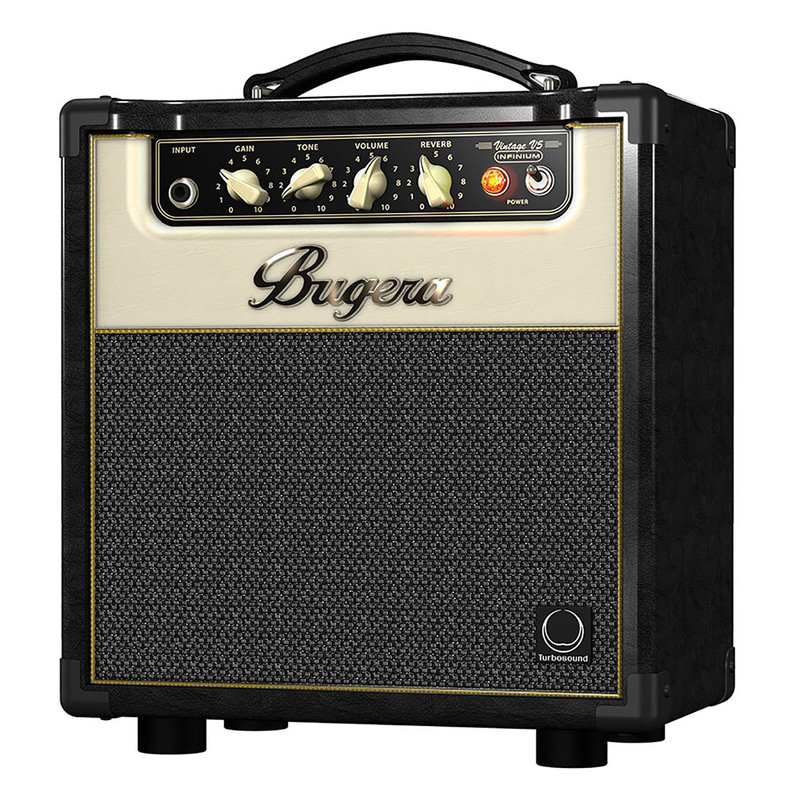 Designed and Engineered by BUGERA Germany and featuring our 3-Year Limited Warranty Program, the BUGERA VINTAGE V5 INFINIUM gives you all the wonderful tones of the most-revered, classic tube amps, pairing a vintage Class-A design with an incredible TURBOSOUND speaker, our magical INFINIUM technology and a fully adjustable power attenuator. Whether you’re bringing yesterday’s golden tones to life, or creating some of your own – the VINTAGE V5 INFINIUM is destined to become your favorite new sonically-inspired, do-it-all amp!